It is common to see construction sites where the groundwater level is so high that it impacts the foundation of the building. In such cases a waterproofing membrane is required that is able to resist the pressure of the groundwater and also not deteriorate due to the constant contact of water. The groundwater at times may be toxic and corrosive thus, the membrane system used should also be able to withstand such service conditions. 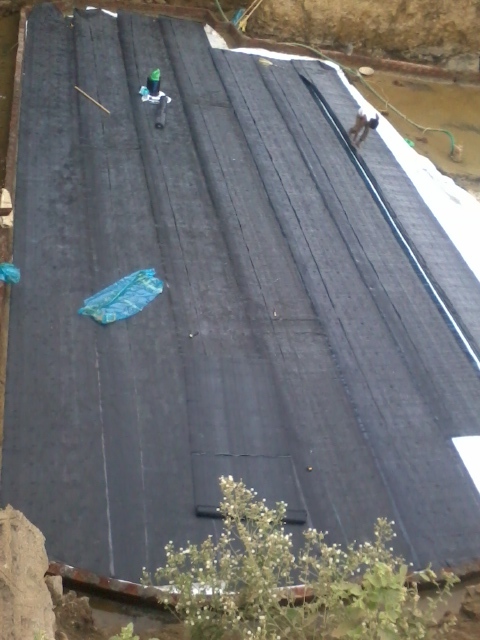 PolygommaTM EPDM Tanking Membrane is specially designed for tanking purpose and is not only able to withstand the constant contact of the water but also does not deteriorate due to contact with the toxic and corrosive groundwater. We can also manufacture membranes which are resistant to the corrosive sea water for projects on or near the coastal areas.